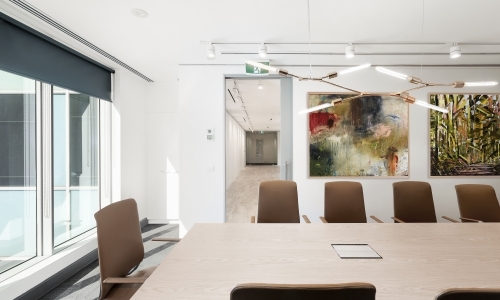 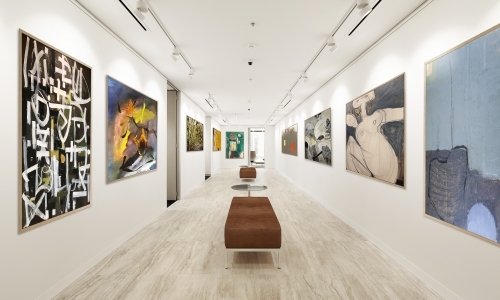 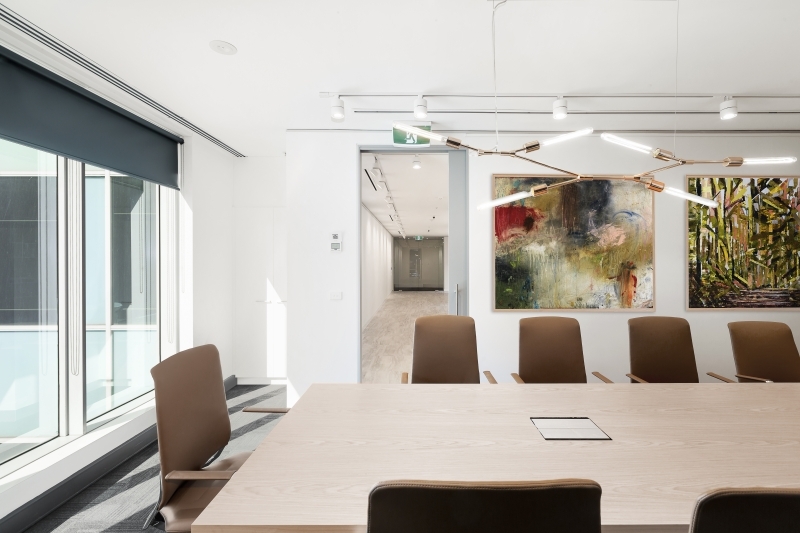 Located in the heart of South Yarra, this unique commercial space doubles as an art gallery housing a collection of rare pieces in the reception and waiting area. 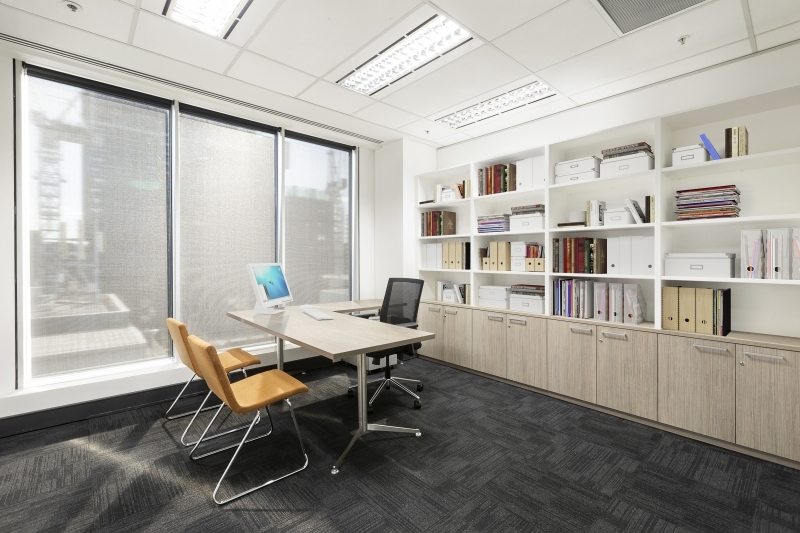 Workplace strategy workshops helped discover privacy, space and storage were all important requirements due to the nature of the work being conducted, in addition each team member needed to have access to windows and natural light. 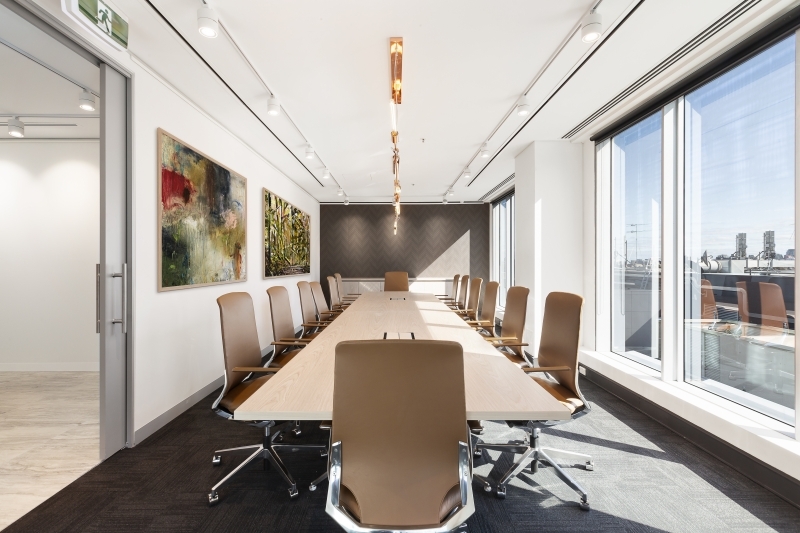 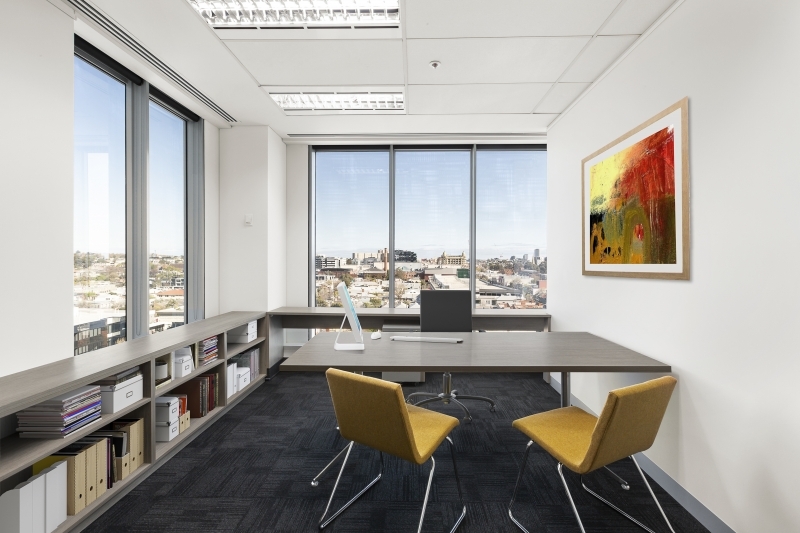 The solution: a carefully laid out office plan, with higher screens and large L shaped desks allowing for privacy, and custom joinery adapted for each team members storage needs, while still allowing through natural light, further enhanced with a light, bright colour scheme. 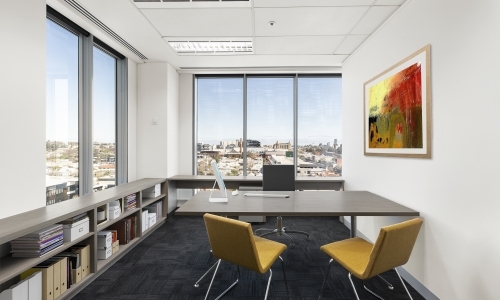 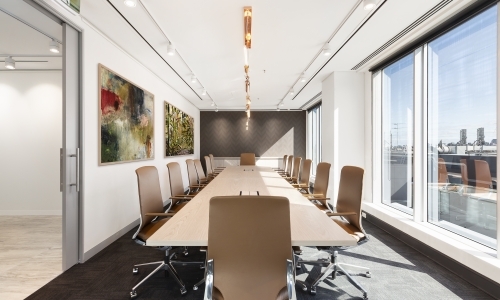 The end result is a spectacular office enhancing employee creativity and satisfaction.